Menard County was established in the winter of 1839 by action of the Illinois State Legislature, being one of three counties split off from Sangamon County. At the time, Abraham Lincoln was a Representative to the State Legislature and Chairman of the Committee on Counties. The bill to separate Menard from Sangamon was written and presented by Lincoln on January 16, 1839 and passed the legislature on February 15, 1839. The action defined the boundaries of Menard County and provided for an election on the first Monday in April 1839 to elect public officials and three county commissioners. Over one hundred sixty years later, on November 7, 2000 the voters passed the proposition to be represented by five commissioners elected from single member districts. Menard County is located slightly west of the center of the state and contains approximately 314 square miles. Petersburg, the county seat, is about 20 miles northwest of Springfield. A large number of settlers from Southern states and European immigrants came to Menard County to farm. The county continues to be known for agriculture and its rural character, while also providing a diversity of residential living options, quality schools and a service-based economy that caters to area residents and businesses. Menard County is a non-home rule county and governed by the Illinois County Code, Chapter 55 ILCS 5/1-1001, et. seq., and related acts. Menard County's government consists of thirteen departments, six elected officials, the judiciary and a five member County Board elected from single member districts. In addition to the above general government activities, the County owns and operates a skilled care nursing home. Sunny Acres accepts private pay, Medicaid and Medicare patients. Countryside Estates, situated next door to Sunny Acres, opened in 2000 and is an independent living facility. Please contact the Department Heads noting their contact information on their webpage. Please contact the Elected Officials noting their contact information on their webpage. If you are seeking information that is not on the County website, please contact the County Coordinator at 217/632-4412. General contact for County business may be make by contacting the County Coordinator at 217/632-4412. Menard County and Sangamon County Food Inspection Reports are now available on the Health Department Page. 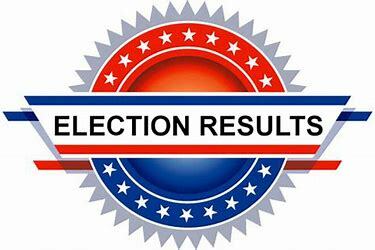 CLICK HERE FOR THE OFFICIAL RESULTS FROM THE 04.02.2019 ELECTION.